Even though people have been visiting holy places in different countries of the world for ages, the popularity of religious tours among tourists has increased in the recent times. Life has become so hectic that travellers feel a sense of renewed freedom while spending some time at historic, religious sites. 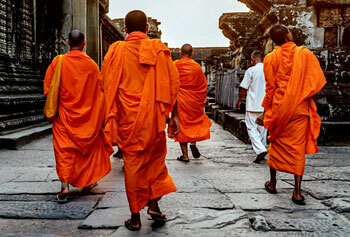 Whether you talk of India, Nepal, Bhutan, Tibet, Sri Lanka or Bangladesh, each one of these countries is known for their own unique spiritual fervour. But India is truly a country where religion is like oxygen, and people can't simply live their daily life without various types of rites and rituals. India is particularly special in the sense that it's home to multiple religions each of which co-exists peacefully. There are Hindus, Muslims, Christians, Sikhs, Buddhists, Jains, Parsis etc. Each religion has its own ethics, customs, rituals and life philosophies. 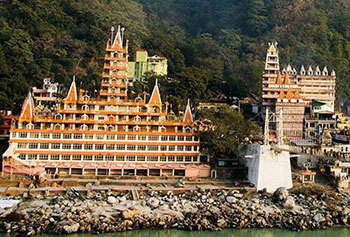 During your religious tour in India, you'll be amazed by the unity in diversity it features. Right from the very north to the farthest south and from west to east, India is dispersed with a number of religious places. The northern India is much popular for its Hindu sites of utter spiritual significance – Char Dham, Amarnath and Vaishno Devi. If you head towards south, you'll get to see the quite well-known temples like the Sabarimala Sree Dharma Sastha Temple and the Kumari Amman Temple. There are many more temples in almost every direction you go in the country. 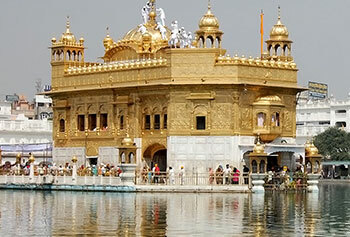 The Golden Temple (Amritsar) is the most revered pilgrimage destination for the Sikh community. Other prominent Sikh religious places include Hemkund Sahib, Patna Sahib, Gurudwara Paonta Sahib etc. The state of Goa is simply packed with exquisite churches, many of which will remind you of the erstwhile Portuguese culture. Bodhgaya in Bihar and Sarnath in Uttar Pradesh provide you with a window to the Buddhist culture. The Hazratbal Dargah, the Ajmer Dargah, the Jama Masjid and the Mecca Masjid are popular Islamic pilgrimage sites. If you're interested in exploring the history of the Buddhist faith, Nepal is a great travel destination to go to. Boudhanath Stupa, Lumbini, Pashupatinath Temple and Swayambhunath Stupa are frequently visited sites of religious importance in Nepal. 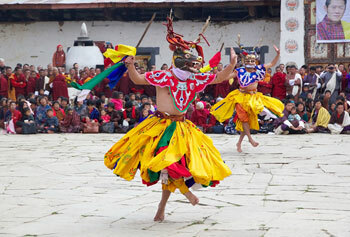 Bhutan, on the other hand, is regarded as the country of temples, monasteries and fortresses. Max Holidays has a highly dedicated team of travel consultants who understand the true significance of faith-based or spiritual holidays. 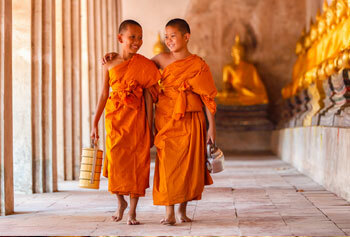 Whichever country you choose to travel to, we'll provide you with expertly designed religious tours. 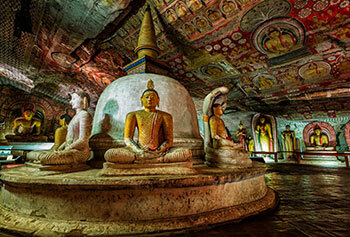 Each one of our religious tour packages and itineraries is created in a way that it will broaden your knowledge about various religions, provide you with an unmatched travel experience and rejuvenate your body, mind and soul. The best part is that you'll travel with like-minded travellers. "I was amazed by the unity in diversity that India features. I was on a pilgrimage tour with the Max Holidays and was stunned to see the way Indians are indulged in the prayers and that too daily. However, I also got some knowledge from here and now I have a routine of praying to god daily. " "Thanks to the tailor-made plans if Max Holidays, I was able to roam as per my convenience and time. I wanted to explore all the four religions of India and Max Holidays helped me in this. Thank You guys for helping me out in knowing about the varied followings by the people and the way they pray. " "3. My mother is from India but I am born and brought up in USA due to my father being a resident of this place. I wanted to visit India and see my maternal place. All the tales from my mother proved to be apt when I visited here. Thanks Max for letting me know the true meaning of Incredible India."